While we agree it’s not for everyone, our signature comedy and interview talk show, the Swish Edition, was one of the leading gay-themed podcasts in the U.S. during it’s original run from October 2010 until December 2014. In fact, it was ranked at the #115 spot out of over 5,000+ comedy podcasts on iTunes, and has been downloaded in over 140 countries. Originating from our own studio in the Dupont Circle neighborhood of Washington, DC, we took the show on the road to the 5-star Wynn-Encore Resort in Las Vegas; to the mountains of Pennsylvania for Gay Camp; to the red carpet in Los Angeles for Trevor Live; to the legendary Ice Palace on Fire Island; and, aboard the world’s best cruise ships for Atlantis Events & RSVP Cruises as a part of the official entertainment offerings onboard. You can listen to old episodes on iTunes. The show featured such diverse guests as Oscar winner Cloris Leachman; comediennes Wanda Sykes, Margaret Cho and Lisa Lampanelli; “Wonder Woman” Lynda Carter; popstars Jeff Timmons and Taylor Dayne; and, many more. Blades Wallis Media co-produced, and Scott co-hosted, the long-running, twice-monthly On Deck! Podcast. This innovative travel information show covers the wide world of cruise ship vacations, featuring episodes on topics ranging from selecting the perfect cruise, tipping, beverage programs, unique ports, as well as destination episodes on Europe, Alaska, Hawaii and more. The show was one of the top cruise shows in the world before it ended production in June 2012 after 74 episodes. Archived episodes can be downloaded for free on iTunes. 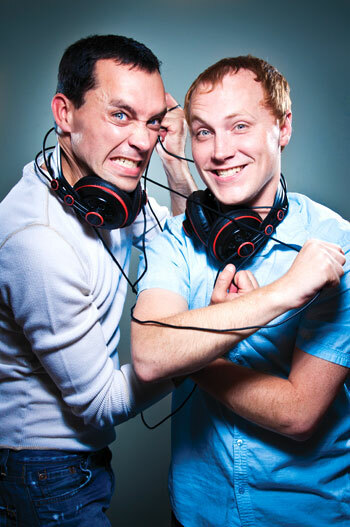 Starting back in the Fall of 2009, we produced It’s A Gay Thing DC, a weekly show about the nightlife scene in Washington, DC. We released 46 jam packed episodes before rebranding it into the Swish Edition (see above) and taking the show national global in October 2010. It’s A Gay Thing DC is just a memory now, but at the time it was the #1 gay-themed weekly podcast in the metro area and beyond. If you are so inclined, archived episodes are still available through iTunes.